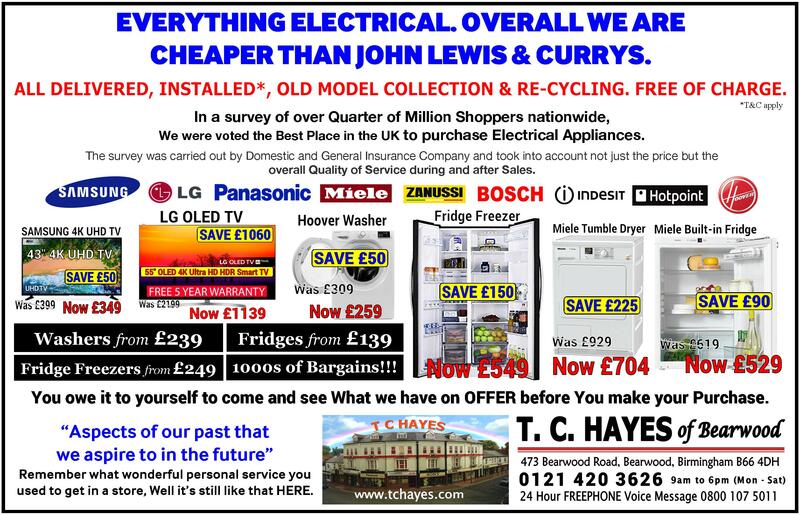 We have the largest independent Electrical Showroom in the Midlands. T.C. Hayes Ltd. were Voted No.1 The Survey was carried out by Domestic and General. Visit us. You will be shocked at how good our prices are ! So much better than the competition.